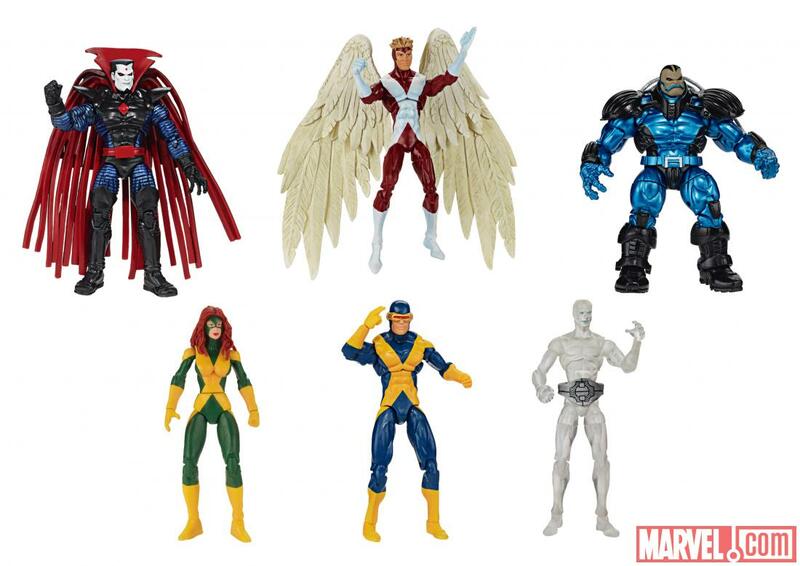 This just in, the Marvel Universe X-Factor collector set coming exclusively to Toys R Us stores later this summer will be available at SDCC. Deets after the jump. Marvel.com today is reporting that this X-Factor collector set will make it's debut at San Diego Comic Con in just a couple weeks, where collectors in attendance can snag one for $50 from Toys R Us' booth. The set will be available in TRU stores in August, but price is unknown. We also got this new high-res photo of the figures included in the set. Rolexreplica offers various elegant replica watches in different styles, ranging from top quality Submariner, GMT Master, high grade Day Date and Datejust models to sports and anniversary models. These rolex replica sale for sale are not only excellent in design, but also outstanding in time working and lifespan. When a special replica watches uk or festival comes, you always want to look for a perfect gift for your families. Our exclusive replica watches sale are your best choice. They will fully express your love and appreciation. Whether it is a birthday or replica watches sale wedding anniversary, the dazzling fake rolexes from Rolexreplica for both men and ladies are fancy choices for any occasions and festivals.